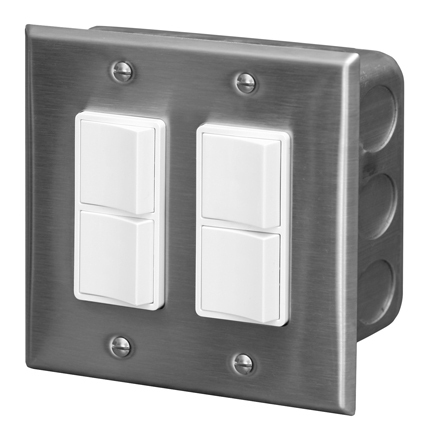 This double duplex switch is an economical alternative to control 2 of our Infratech, 240 volt,DUAL ELEMENT heaters up to 8000 total watts each (4000 watts per element). Each switch consists of 2 toggles, one to turn each heater element on or off providing Off, Half Power or FULL Power control. includes a gang box and a stainless steel wall plate.